I made Dulce de Leche Macarons. And here is the recipe! 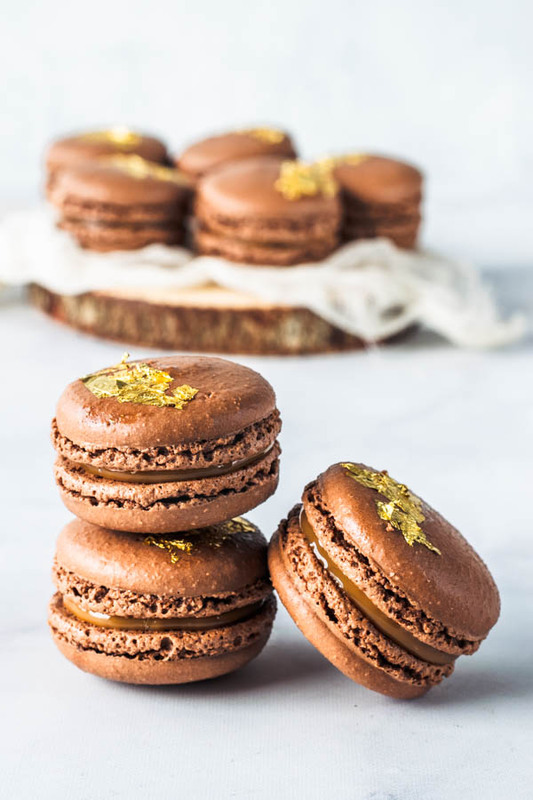 So these Dulce de Leche Macarons have a chocolate shell and a dulce de leche filling. 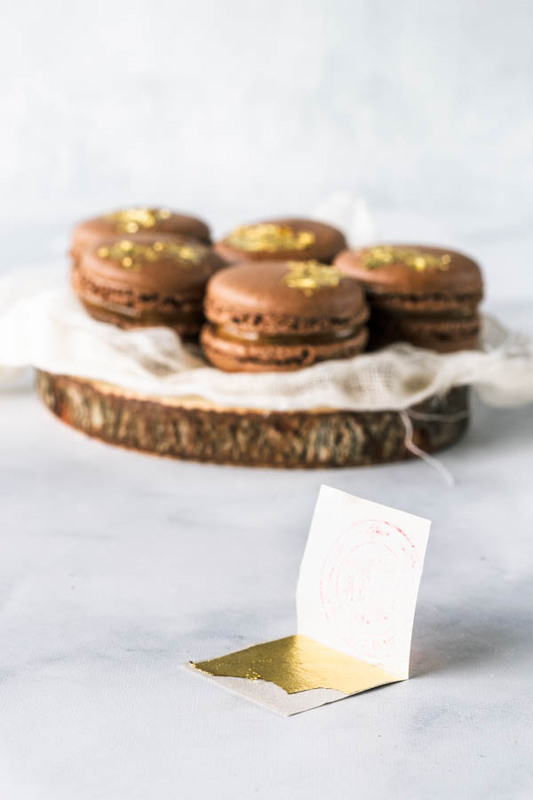 I decorated the top of these macarons with gold edible paper, for a lavish touch. I used these Edible Gold Sheets . They are very easy to work with, but very delicate. They come in between these sheets of paper for protection. 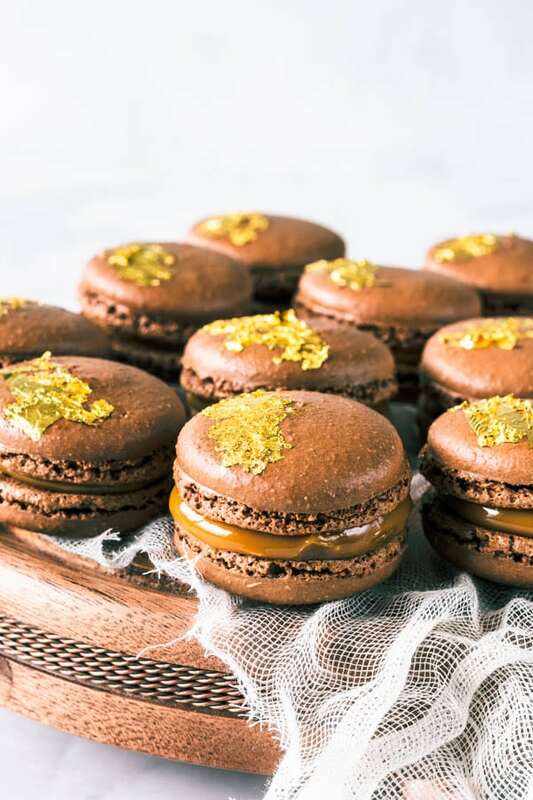 And these edible gold sheets give the Dulce de Leche Macarons such a fancy look. Don’t you think? 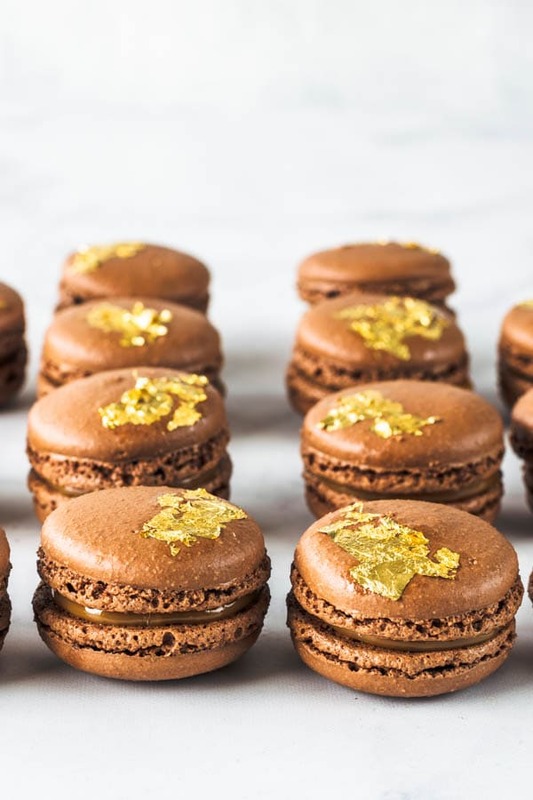 You might need tweezers and a brush slightly dipped in water to help fixate the gold on top of the macarons. 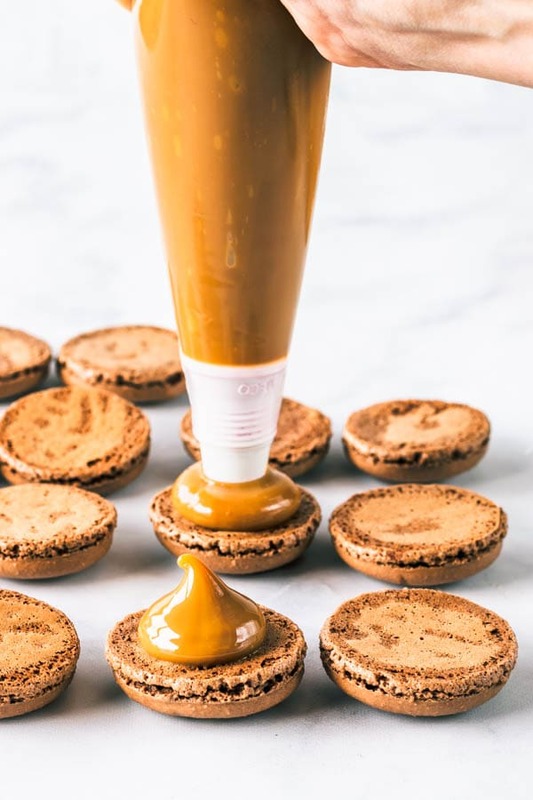 Don’t overdo it with the water though, because it will simply melt the gold paper and soak the top of your dulce de leche macaron. Now, let’s talk about the filling of the Dulce de Leche Macarons. If you want, you can use store-bought dulce de leche, or make your own. It’s very simple to make your own dulce de leche. Simply start with a can of condensed milk. Now, there are several options here. Making dulce de leche in the oven– Pour the inside of the condensed milk can in an oven-proof pan, and bake over a water bath for about 2-3 hours, stirring in between, covered with foil, at 350F. Making dulce de leche on the stove top– there are two ways to make dulce de leche on the stove top with a sealed can of condensed milk. First is to use a pressure cooker, which is the fastest way. Place sealed can in a pressure cooker full of water, covering the can by at least 2 inches. Cook under pressure for 30 minutes. Let pressure release naturally and let can and water both cool down all the way before removing and opening the can. If you just want to use a regular pot, make sure it’s a large pot of water, where the can will be submerged the whole time. Boil sealed can for about 2 1/2 hours. Let can and water cool down all the way before removing and opening the can. Regardless of the method you choose to make your dulce de leche, make sure to always let it cool down before handling it. And leave it in the fridge for a few hours before piping so dulce de leche will be cold and have proper texture. I mean, would you look at that!! 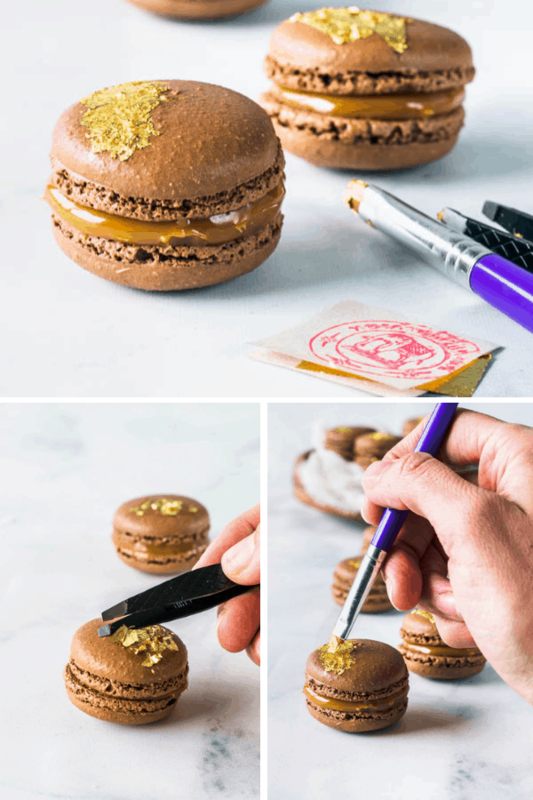 Dulce de Leche Macarons for the big win! One of the best flavors I’ve ever made. It was actually inspired by my cousin Mariana. 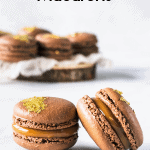 She asked me for a recipe for Dulce de Leche Macarons, which is also the reason why I wrote the recipe in Portuguese as I mentioned in the beginning of the post. And she told me she wanted the chocolate shells with the dulce de leche filling. Normally, when someone asks me to make something, they usually get to enjoy it. This time, it wasn’t possible since Mariana lives in Brazil and unfortunately I am unable to ship these over there. 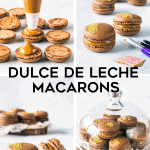 I did write her the recipe, though, so maybe she will get to enjoy some Dulce de Leche Macarons after all. I ended up using my Dulce de Leche Macarons to top a Dulce de Leche and Chocolate Cheesecake Pie I made for Thanksgiving, which I’ll possibly post a recipe for since some people asked for it on instagram! Stay tuned for that, I’ll try and remember to come update this post once I write the recipe. 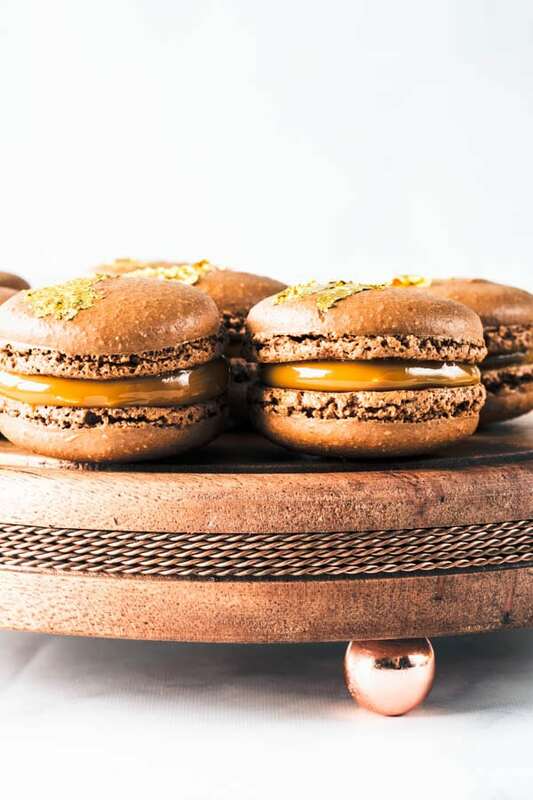 And yes, these Dulce de Leche Macarons can be used to top a cake, a cupcake, or a pie. And you know that my favorite thing to do is to use my macarons to top other desserts, as you can see in my Mocha Cupcakes, Raspberry Almond Chocolate Cupcakes, Pumpkin Cupcakes, Blueberry Matcha Cupcakes, and Espresso Chocolate and Peanut Butter Cupcakes. 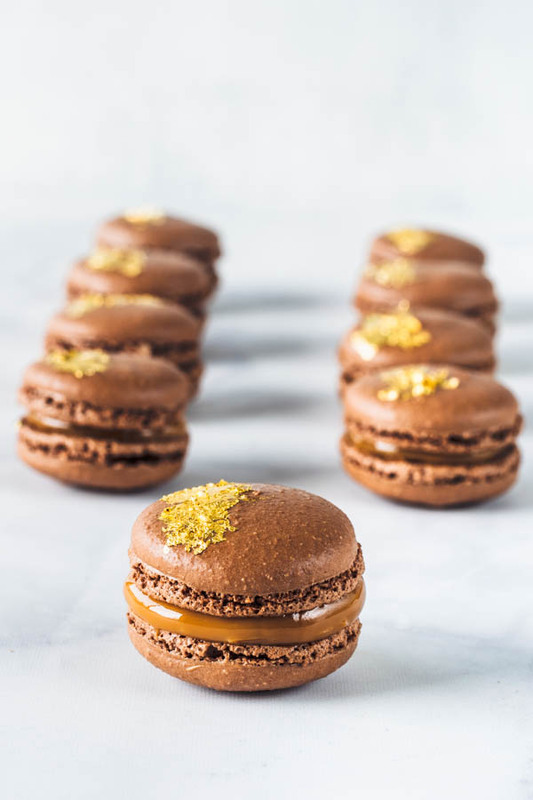 However, you don’t need to make another dessert to top with the Dulce de Leche Macarons, you can serve them as is. I don’t think anyone would complain to be served these royal treats! I invite you to try these recipe. Making macarons might be complicated, but I have a few posts that might help you. Also, reach out and ask a question, I try to get to all questions in the comments here and dms on instagram as soon as possible. I believe you can master macarons if you really want to. Just have to practice a bit. And it’s so worth it, because everyone loves macarons, they make amazing treats. 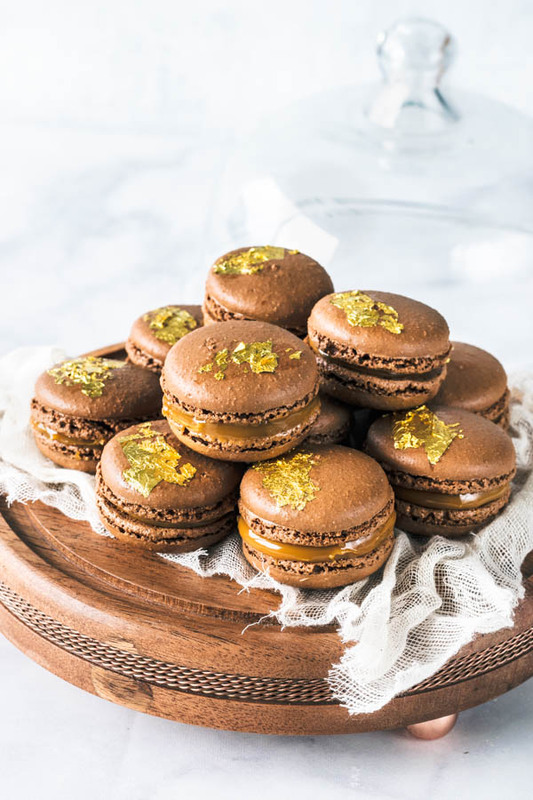 If you are like me, and love gifting people homemade food gifts, macarons make for the best of them. They are super easy to freeze, they are pretty, and who wouldn’t love receiving a box of macarons for their birthday, for a Christmas treat, or you know, when it’s flag day… Macarons for all occasions! 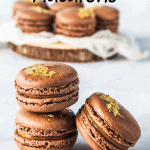 So be sure to check out my other macaron recipes. Down below you can find some of the materials I usually use to make my macaron making life better. I am not sponsored by any of this companies, but believe in their products which is why I am recommending them to you. 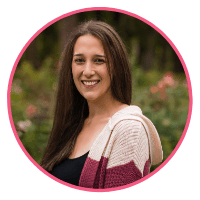 Have a great day and thank you for reading my blog! You’re awesome! 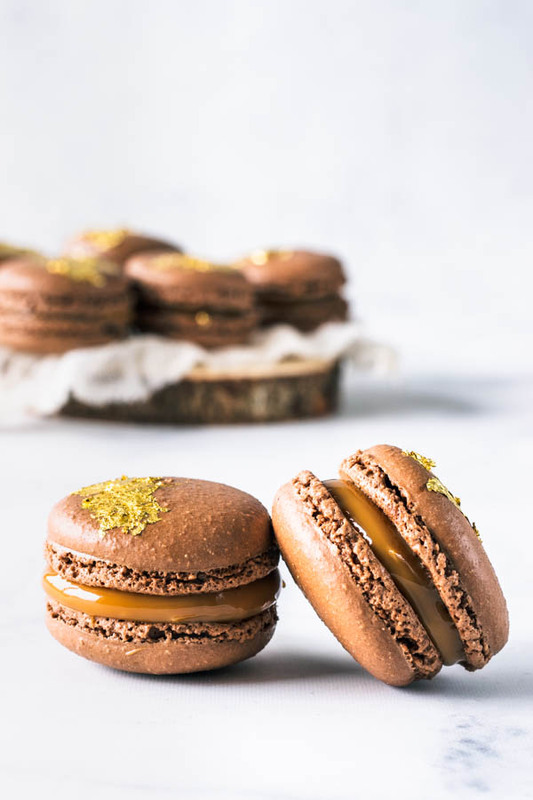 Chocolate Macarons filled with Dulce de Leche. 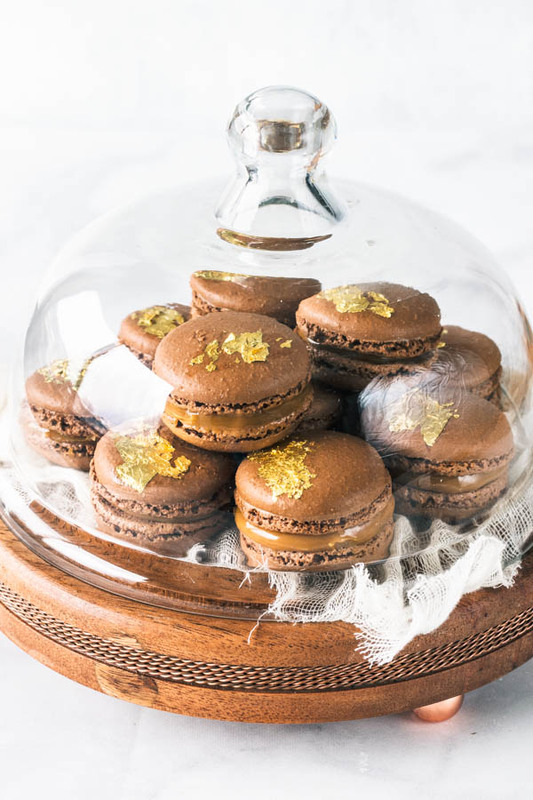 I chose to top them with this beautiful edible gold paper to make them lavish. To make dulce de leche at home, you take many different approaches. Check the post above to read 3 different approaches on how to make dulce de leche from a can of condensed milk. My favorite way to make dulce de leche starts with an unopened can of condensed milk. Place sealed can in a pressure cooker with enough water to cover it plus at least 2 inches. Then, bring the water to a boil and cook under pressure for 30 minutes. Let pressure release naturally and let can and water cool down all the way before removing and opening the can. When you open the can, it will be a thick darkened caramel inside. Place contents in a container and put it in the fridge until cold and firm. 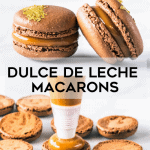 Place dulce de leche in a piping bag and pipe on top of half of the macarons. Top with another macaron. Keep it in the fridge for up to 4 days, and in the freezer for up to 1 month. Make sure to package macarons really well in an air tight container to place it in the fridge. Any leftover dulce de leche can be stored in the fridge for quite a bit of time. Some people say about 1 month. You can also successfully freeze it for a couple of months if well packaged. Vendo suas receitas é que acredito no paraíso, parabéns!!!!! !